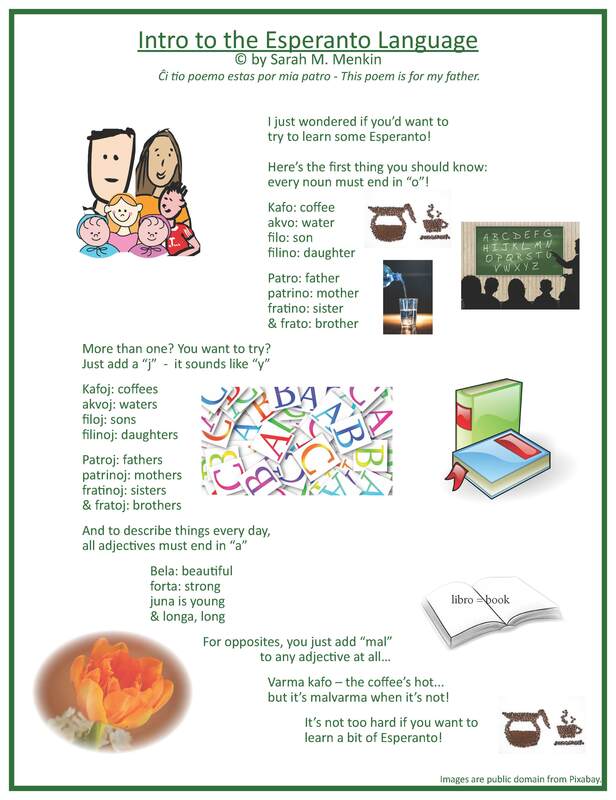 "Intro to the Esperanto Language" is the children's/family poem for June 2018. The poems on this page are (c) Sarah M. Menkin. All clip art on this site is (c) Graphics Factory.com unless otherwise noted. 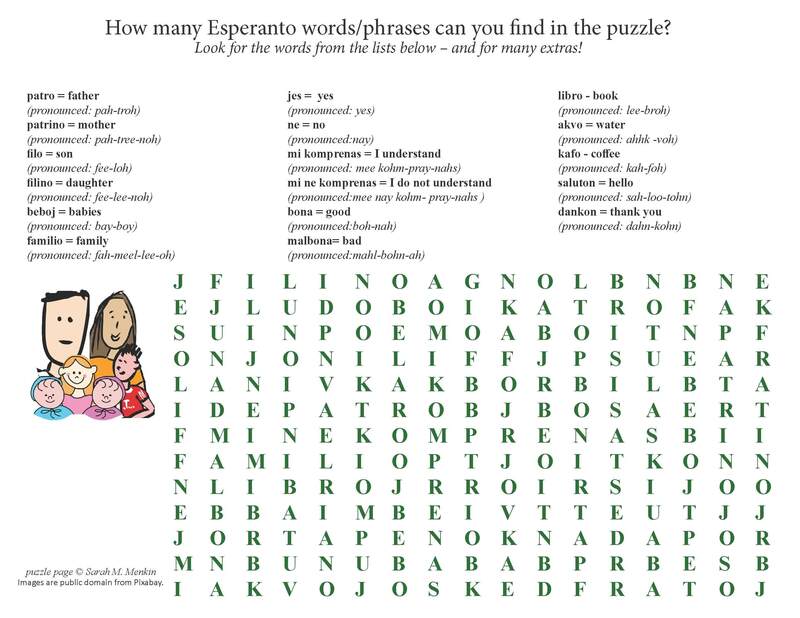 The images used to illustrate the poem/puzzle on this page are public domain from Pixabay.